We are fearless innovators who leverage expertise and creativity to bring new ideas to staffing and recruitment companies. We consider ourselves to be unique by not doing things just like everyone else. We are problem solvers who never give up and strive to make things happen quickly and efficiently. Our client relationships are strategic partnerships. We build relationships and strive to help other by making valuable business connections. It’s our purpose to proactively help staffing and recruitment companies grow. We’re inspired and truly believe this is the best way to develop staffing and recruitment companies. With our values as the foundation for our success, we strive for accountability, authenticity and transparency in everything we do. Alliance Solutions Group delivers personalized, relationship-driven service to a wide range of industries through a family of highly specialized staffing and recruitment companies. Our goal is to make a difference in the lives of our clients and candidates by building the foundation that helps them thrive. ASG practice areas include: Accounting & Finance, Skilled Manufacturing, Food & Science, Healthcare and Legal. Alliance Search Solutions is a nationally focused retained and contingency search firm. Since 2001, our search consultants have provided top executives and other direct hire candidates to organizations of all sizes. We partners with middle-market companies in the U.S. and internationally who are in need of assistance during a time of transition. Several offices located in the state of Ohio: Independence, Mahoning Valley, Mentor, Akron, Elyria, Streetsboro, and Sandusky. Having the right staff is vital to the success of your operations. That’s why we generated a new model for industrial staffing that provides consistent, reputable results your company can depend on. Temporary staffing and direct-hire recruitment for manufacturing, warehouse and distribution companies with the retention rates 15% higher than the national average. Why McIntyre: We think big. We share ideas. We change lives. We’re movers and shakers. We’re black-belts, wanna-be-chefs and some of us are parents, too. And we’re ahead of “the next big thing” in employment trends so we know exactly how to help. Several offices located in the state of Oregon: Salem, Albany/Corvallis, Eugene/Springfield, Medford, Portland, Roseburg, and Bend. 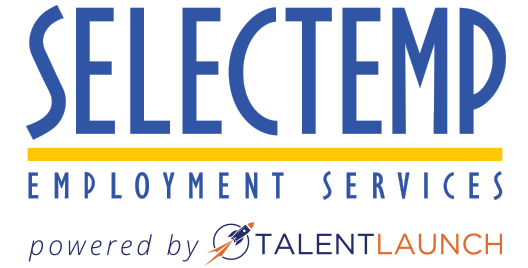 Founded in 1987, Selectemp provides staffing and recruitment services to many industries including light industrial, production/assembly, warehouse, skilled labor, specialty trades, technical, professional, clerical, administrative and more. Work can be rewarding when people have jobs that make good use of their skills and abilities. Selectemp vision was to make people happy by matching them with jobs they enjoy. In turn, employers succeed when they have access to reliable contract employees who are well qualified for job opportunities. Offices located in the state New Hampshire, North Carolina, and several in Maine. The right person, the right job – the first time. You don’t have time to waste on the wrong candidate or the wrong job. That’s why employers and job seekers partner with Bonney Staffing. As a full-service office, call center and light industrial staffing agency, we handle a wide range of placements from entry-level temporary employment to high-level professional recruiting. Our strengths lie behind the scenes, with extensive upfront vetting, video interviews and seamless, customizable staffing solutions. We make it simple to get it right the first time!